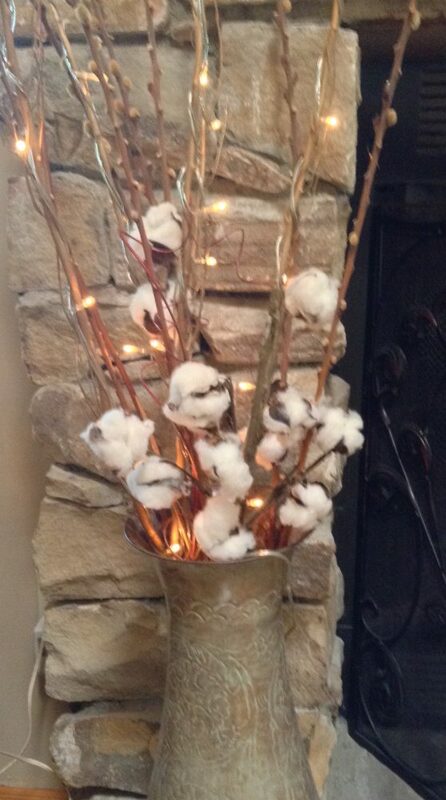 My wife recently purchased a stalk of cotton, placing in it in a vase to serve not only as a decoration for our living room, but also as a reminder of this series and the lessons I learned in the cotton fields of my youth. Last year, as I drove by those same cotton fields in South Georgia that inspired this series, the above verses from Matthew’s gospel came to mind. They reminded me of one last lesson from the cotton fields which, while seemingly obvious on the surface, is often neglected in practice. As I recall those days, I’m reminded that very little work was ever accomplished in the comfort of our home. Daddy would educate himself on the latest developments in the propagation, maintenance, and harvesting of crops. But all the work that had a true impact- the preparation of the soil, the planting of the seed, the application of fertilizer, the initial removal of excess cotton plants, the hoeing of weeds that would choke the remaining plants, the spraying of insecticides to control boll weevils, and the eventual harvesting that put food on our table and clothes on our back – took place in the fields. As followers of Christ, the work he has commissioned us to carry out takes place in the fields as well. On another recent trip south, my wife and I were in Callaway, Florida, just outside of Panama City, enjoying some time with our grandchildren before they returned to school. Just down Tyndall Parkway from the hotel where we stayed, there is a new church advertising itself as “the perfect church for imperfect people”. The most intriguing aspect to me about this church is its location next door to a small plaza housing an electronic cigarette shop, a payday loan lender/pawn shop, and a tattoo parlor. Initially struck by the irony of the site selection committee’s choice of that location, my views changed as I reflected upon the true mission of any local church. Those establishments next door exist to fulfill the perceived needs of imperfect people, be they financial, addictive, or simply products to establish or bolster an identity – needs that are better addressed by the Gospel of Christ which is now being proclaimed in that new building among that sea of imperfect people. Sometimes we tend to forget that the bulk of the work for which we have been commissioned takes place in the fields of those imperfect people who are often more like us than we dare to admit. We grow too comfortable in our enclaves of fellow believers, preaching to and teaching one another, taking Bible study after Bible study, and enjoying the fellowship of other like-minded believers, while the world around us is starved for the hope that only the Lord we proclaim can provide. It is fitting and proper that we gather to worship our Lord, to enjoy fellowship with one another, to encourage and pray for one another, and to equip ourselves for the greater work of spreading the Good News. But we must never forget that the greater work takes place outside the walls of the church building. We are called to be salt and light in a world filled with imperfect people and in a culture that is often hostile to our message. Unless we put its teachings into practice, few people will ever be impacted by our knowledge of the Scriptures. James 2:17 says “In the same way, faith by itself, if it is not accompanied by action, is dead.” Faith without works and knowledge without action, like that stalk of cotton in my living room, is little more than a decoration. As I learned in the cotton fields of Georgia, the work of growing the Kingdom of God takes place in the fields – not in our comfort zones. The harvest is still plentiful and all too often the workers are still too few. That might not be the case if we were as concerned over the fields of lost people all around us as we are uncomfortable around some of them.